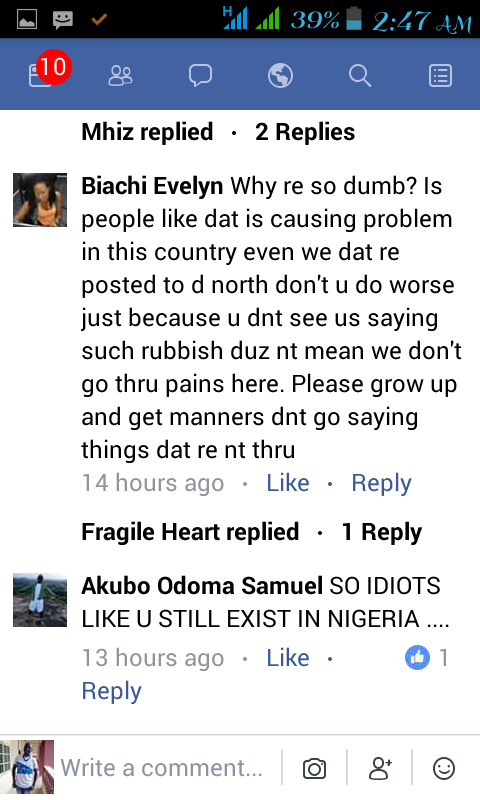 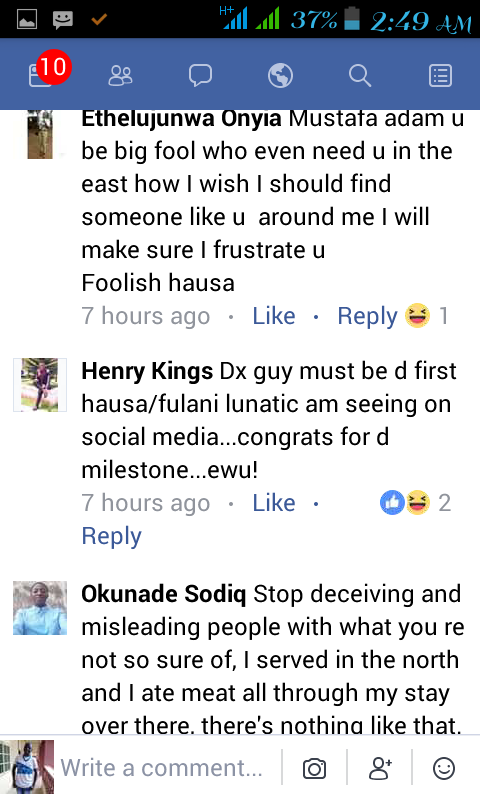 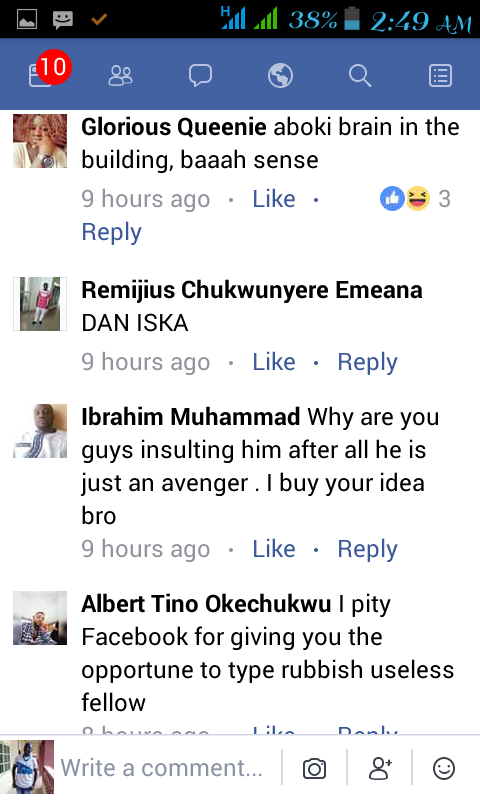 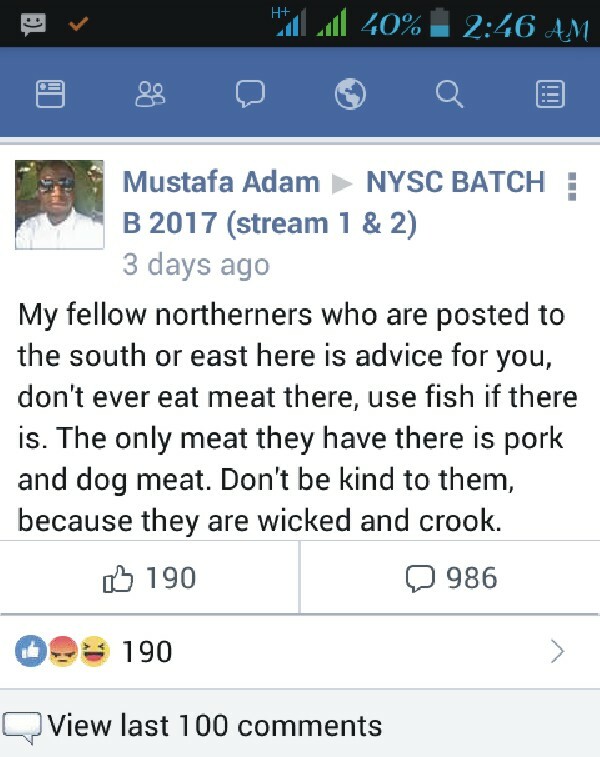 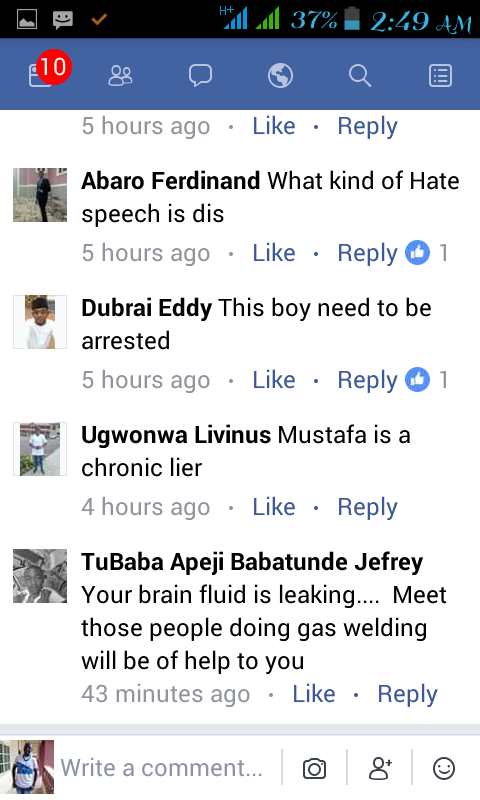 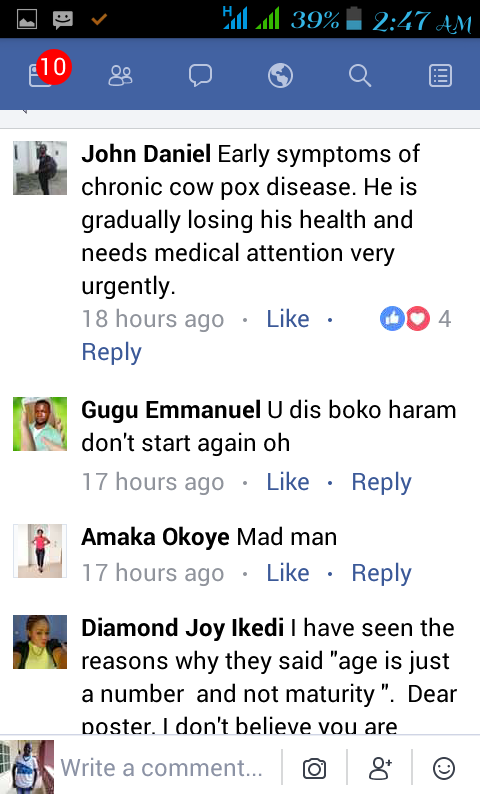 Nigerians slam a Northerner advising his comrades (NYSC members) who were posted in the eastern and southern part of the country not to eat anything with meat or meat itself. 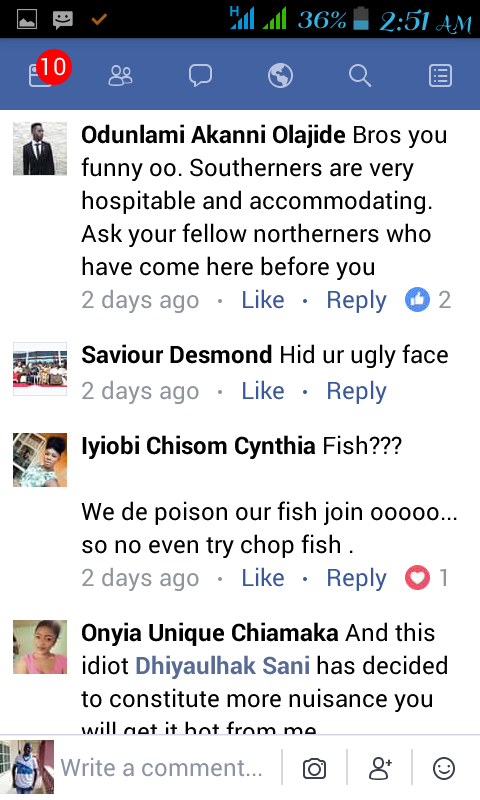 My fellow northerners who are posted t south or east here is advice for you, don't ever eat meat there, use fish if there is. 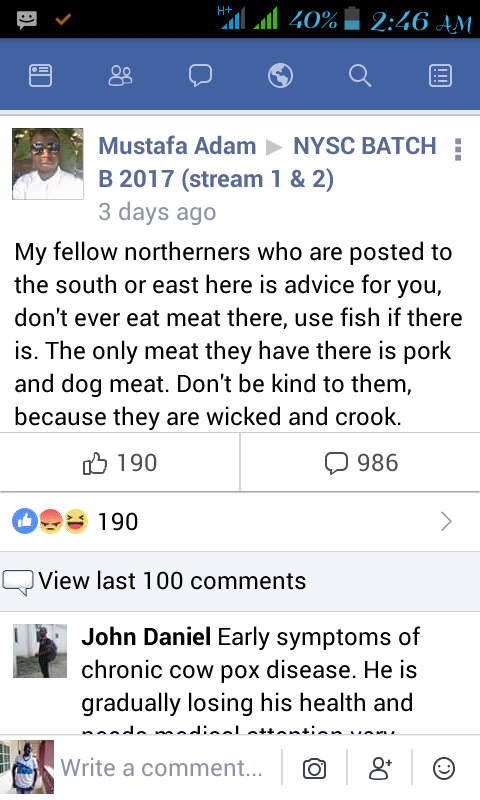 The only meat they have there is pork and dog meat. 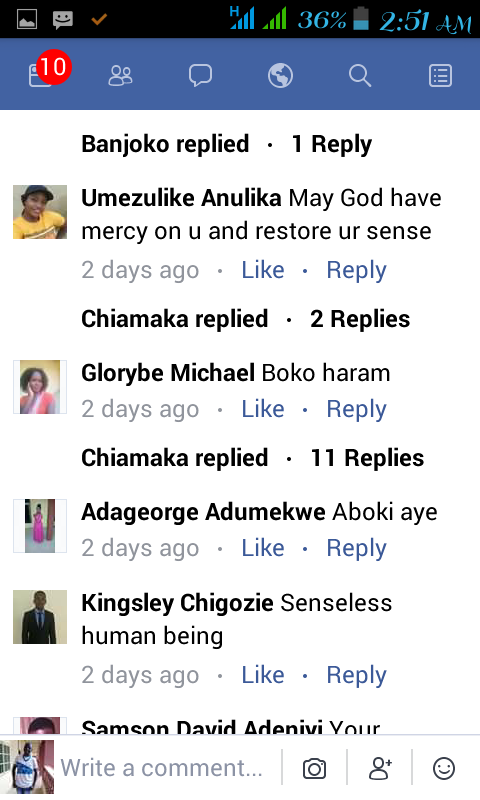 Don't be kind to them, because they are wicked and crook. 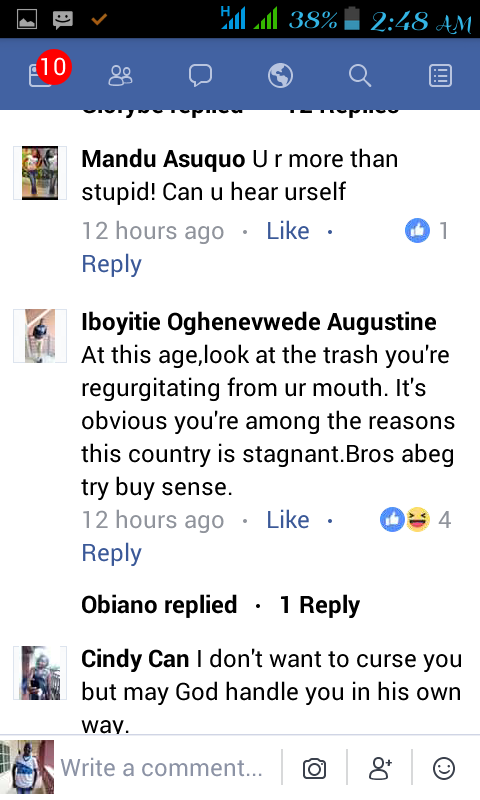 The hate speeches in Nigeria is massive and whoever is saying one Nigeria has come to stay is simply procrastinating an ideal "disintegration" that will inevitably come to pass.